Have you ever ridden Bus Rapid Transit (BRT)? 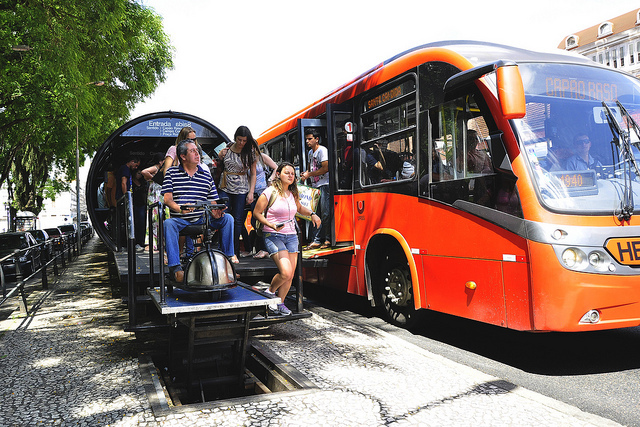 First implemented in Brazil, this relatively new mode of transport can be found in 194 cities around the world and is proving to be an effective and viable solution for urban mobility challenges. 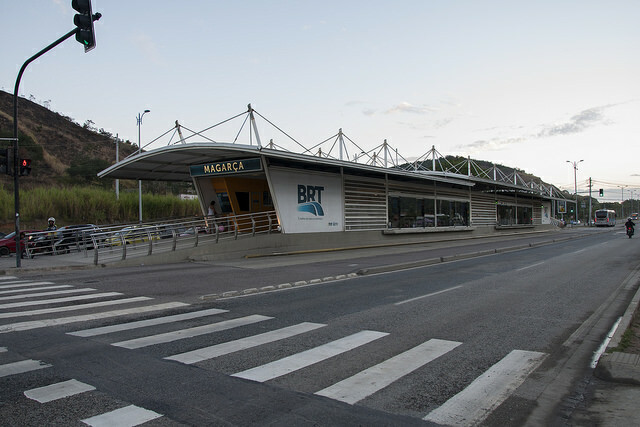 Unlike more traditional bus systems, BRT operates in exclusive, designated lanes, and often has greater capacity, a unique ticketing system, trackable real-time information and, perhaps most importantly: a station. The station is the user’s gateway to the system. Acting as the face of the service, BRT stations offer citizens a host of benefits that traditional bus stops simply cannot. Indeed, stations can have a big impact on how successful a BRT system is. Making stations universally accessible makes it easier for everyone to enter and exit a BRT station, but services should particularly focus on assisting individuals with disabilities. Indeed, because people with disabilities often face restricted mobility, making public transport easily accessible is vital for making urban spaces open to everyone. To achieve this, both the station and the surrounding area should be equipped to accommodate individuals with diverse sets of needs, allowing them to access the station autonomously and safely. In addition to internal amenities, roads, sidewalks and crosswalks leading to the station can also improve accessibility. Waiting for the bus can be boring—but stations can become more engaging by offering a variety of services. 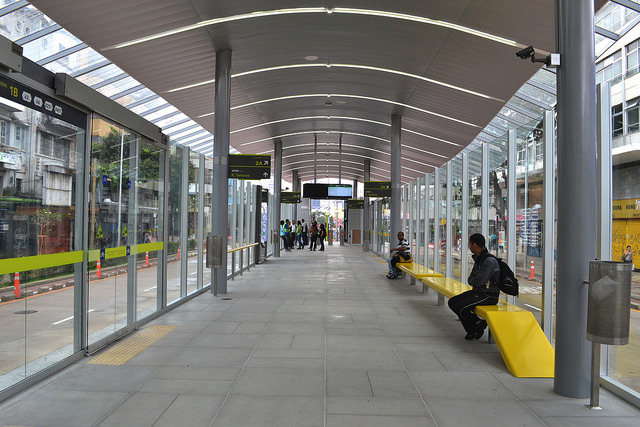 Amenities at BRT stations can include: (i) passenger information systems, (ii) comfort services (trash cans, benches, air conditioning, Wi-Fi) and (iii) security systems (internal and external lighting, security cameras). 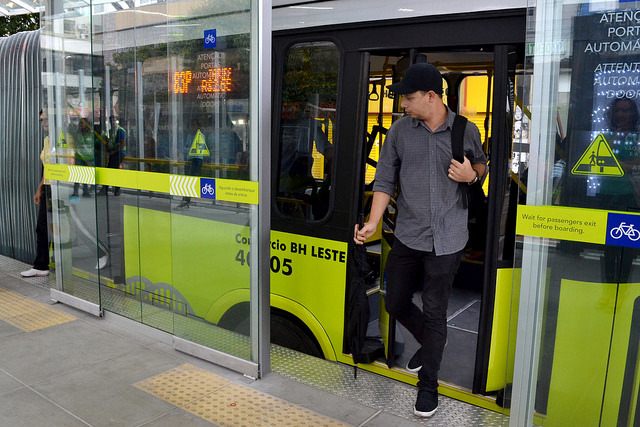 Upgrading to full-equipped BRT stations completely transforms the bus experience, attracting more users and making public transport friendlier to both tourists and new customers. There are four main factors which, when all present, guarantee that boarding and exiting a bus is a safe and efficient experience for all passengers. These are: (i) an appropriate ceiling height, (ii) minimal distance between the vehicle and the station platform, (iii) proper alignment between station and bus doors and (iv) extending the station’s coverage. Each BRT station should be able to accommodate waiting passengers and circulate people arriving and departing. Anticipating the number of daily users is key for a good design. Stations should be constructed in areas where water, sewage, and electrical infrastructure is readily accessible. In addition, decision makers should creatively explore ways to make projects more sustainable. For example, rainwater reservoirs can be set up in or near stations to save on water usage, and solar panels can be installed on roofs to power amenities. One such project even won the Young Scientist Award in 2011 for its implementation of photovoltaic panels on stations. 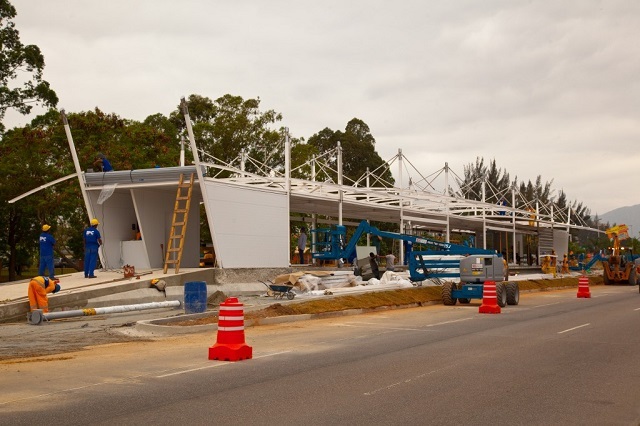 TransOeste station under construction in Rio (Photo: City Hall). As with any public construction project, BRT stations may suffer from vandalism and misuse. Consequently, decision makers should use materials that inhibit vandalism to preserve the image of BRT and keep stations safe. Anticipating these problems can reduce the future costs of station maintenance. Simply put, stations should be built to be maintained. Stations with a variety of services often demand more complex and expensive maintenance strategies, since maintenance can also impact system efficiency. Therefore, this step should be always be considered in the design stage. 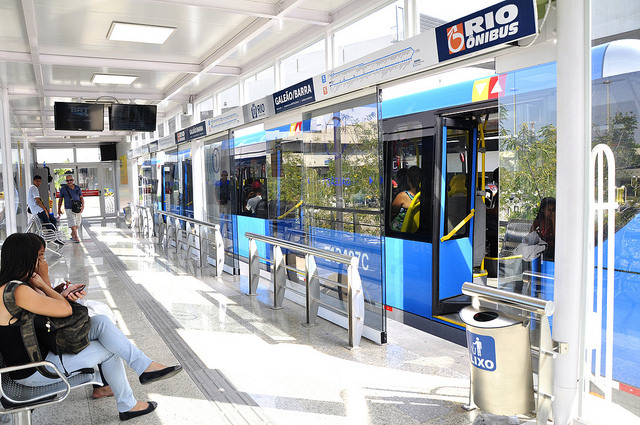 BRT systems are rapidly expanding in both Brazil and across the globe. 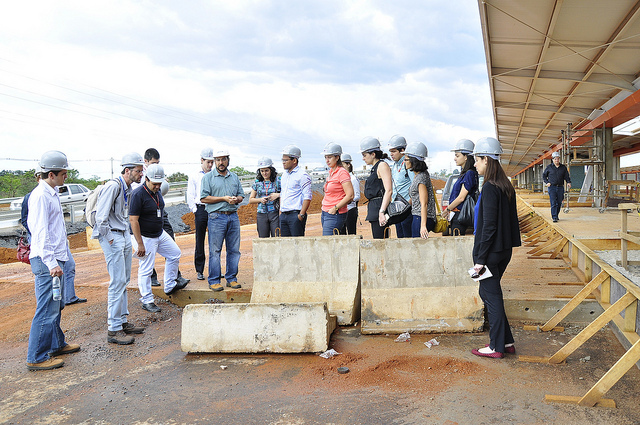 To assess whether new stations contain these essential characteristics, Virginia Bergamaschi Tavares, Luis Antonio Lindau and Guillermo Petzhold from WRI Brasil | EMBARQ Brasil produced a report called The BRT Station: An Analysis Of Features And Components For Its Qualification to serve as an assessment tool. In short, the tool is a checklist for BRT stations. It contains four main criteria (accessibility, amenities, station-vehicle design and interface) and gives both existing and future stations clearly defined standards for comparison. Download the research here.